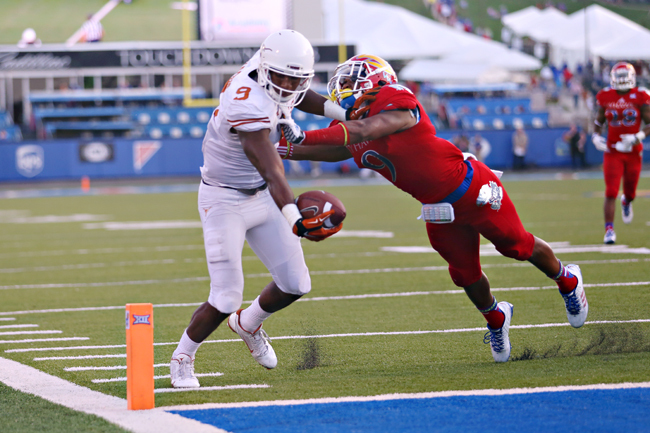 By Rahul Naik I grew up hating Texas football with a passion. My mom attended the University of Nebraska and raised me as a die hard Nebraska Cornhusker fan. However, once I set foot in Darrell K. Royal-Texas Memorial Stadium, that all changed. It was as if I, a Montague, married into the Capulet family. To all the clueless freshmen and disinterested upperclassmen, you will probably go to at least one UT football game before you graduate from the Forty Acres. Maybe a quarter of you will understand and kindle the true passion of what it means to be a Texas Longhorn football fan. And maybe a quarter of that quarter will become passionate fans who either walk onto campus knowing the full context and history of the Longhorn football program or hunger for that knowledge earnestly. This piece, however, is for the other 93.75 percent of you. For those of you who have questioned the sanity of your football fanatical peers who berate the television during a game and address certain players by name, criticizing or praising them; for those of you who have scoffed at the name “Bevo,” without examining the fascinating historical significance behind the story of how it came to be; and for those of you who “just don’t care about football,” study this guide. Apply it to your time at this university, and thank me later. 1. Keep these facts in mind when re-evaluating your UT pride: Texas is third in college football for all-time wins. The football program makes well over $100 million in revenue each year. Former Texas quarterback Vince Young (2003-05) is arguably the best college football player of the last decade. Additionally, more than 30 Longhorn football players are currently playing in the NFL. 2. The game day experience at UT is incomparable to any other experience at schools across the nation because of the sheer volume of fans that flow into the stadium and the ever-present “Texan touch” that marks the entire experience. From the tailgating, to the game day attire, to the food and drink, game day at UT is a Texas affair. What does that include? Boots. Boots everywhere. I used to consider cowboy boots unwieldy and stereotypical, but shamelessly gave into the Texan game day tradition after spending a semester at UT. Game-day girls’ fashion usually includes a dress that incorporates burnt orange elements, while a safe bet for guys’ game-day style consists of jeans, a polo and boots or Sperry shoes. However, the formality of your attire does not matter. Remember, above all, wear burnt orange. 3. It helps to understand and participate in the storied tradition associated with the Longhorn football program. This starts with the fight song. Learn it before you go to your first game. Know it backward and forward. With your tongue tied in a knot. Google the lyrics to “The Eyes of Texas,” and do not forget them lest you become that one person in the student section mouthing made-up words with an awkward, confused look on your face. Aside from avoiding this uncomfortable situation, learning “The Eyes of Texas” has additional benefits: it allows you the opportunity to merge your voice with the thousands singing around you, creating a harmonic wave of spirit and pride that resonates throughout the 78712 zip code. 4. Be loud. Get into it. Cheer until you lose your voice. When the Texas defense is on the field, make unrelenting noise. You cannot imagine how much noise can distract an opposing offense or propel the momentum of a surging home team defense. Keep yourself involved in the game and you will not regret it. 5. If none of the above shakes you with the least bit of pride, consider that Darrell K. Royal-Texas Memorial Stadium holds more than 100,000 people. Have you ever been in crowd of 100,000 people, with all of their energy focused on one event? At least 95,000 of them will be on your side, cheering for the Longhorns with you. Every time the Longhorns score, everyone reacts in unison, with unparalleled excitement and passion. There’s a subliminal bond between you and the rest of the Longhorn fans in the stadium, and it cannot be mimicked.